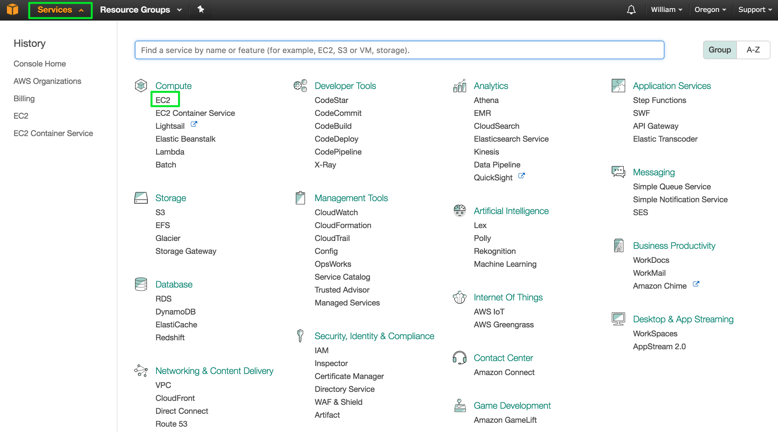 In this post, we will walk you through how to set up TimescaleDB on Amazon Web Services (AWS). Next we will set up our instance type. But for the purpose of this tutorial, we will select the ‘t2.micro’ instance and click ‘Review and Launch’ to jump ahead to the final step. Now we’re on the last and final step, where we review the AMI details before launching the instance. 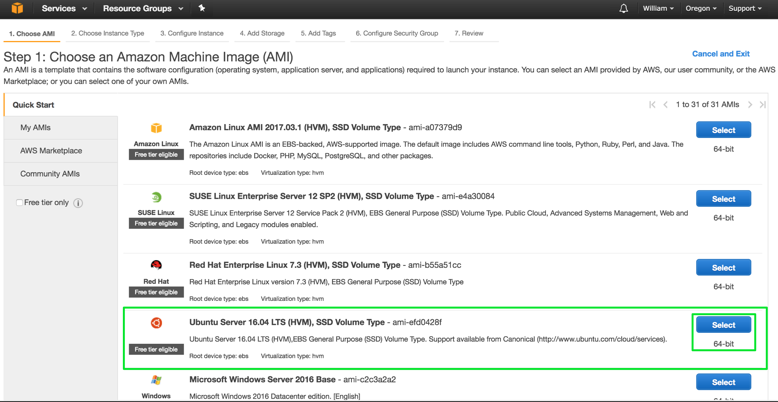 For this tutorial we are using Ubuntu Server 16.04 LTS and have the type set to t2.micro. Since we are not doing any performance testing, it is best to select the minimal configuration machine settings, with the security set to default. Next, you will be brought to the key pair page where we will encrypt and decrypt login information for the remote instance. In this tutorial we will create a new key named ‘timescale.’ You may name your key accordingly or use an existing key if you have one. 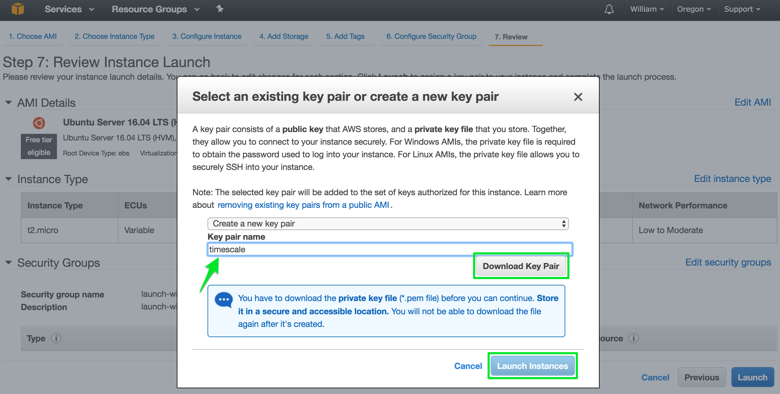 You can also choose ‘Proceed without a key pair,’ but we recommend that you secure the instance with a key. Next, click ‘Download Key Pair’ and save it in a secure location on your local computer. 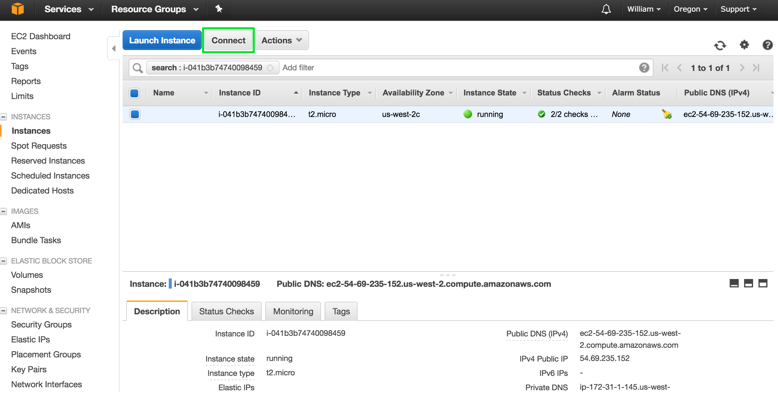 To determine if the instance is running, you will see a similar page like the one below where it shows the instance being initialized. 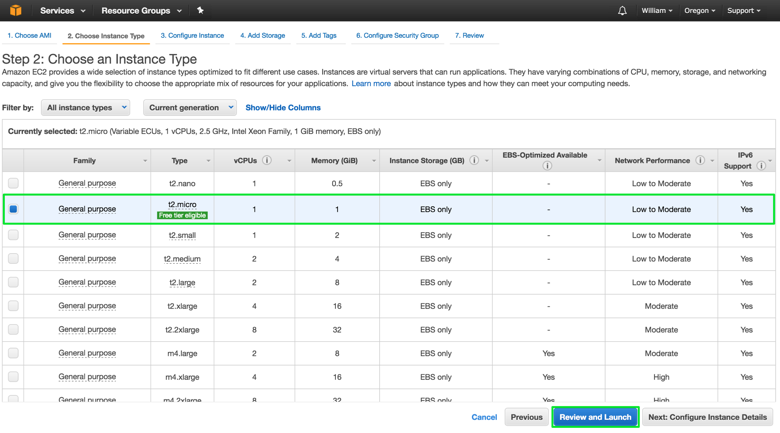 The instance details page will be displayed as shown below. Next we need to connect to our instance locally in order to install TimescaleDB remotely. Then you will locate the command for SSH and copy the entire line into your clipboard. 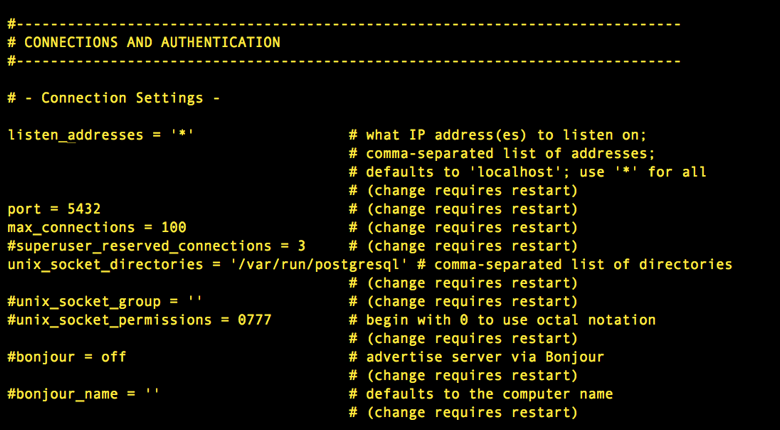 You should be logged into the remote Ubuntu instance you just setup. We will now prepare our machine to install TimescaleDB! With TimescaleDB installed, we can configure PostgreSQL to work in our example at the end of this tutorial. 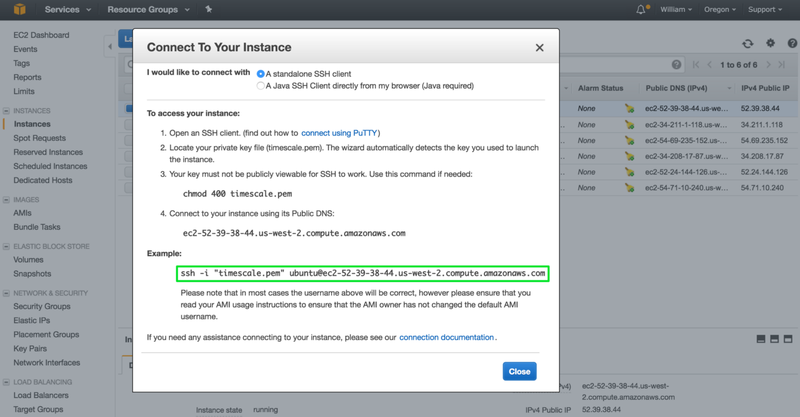 Now that you have TimescaleDB installed and configured, let‘s walk through an example of running TimescaleDB on our remote AWS instance. 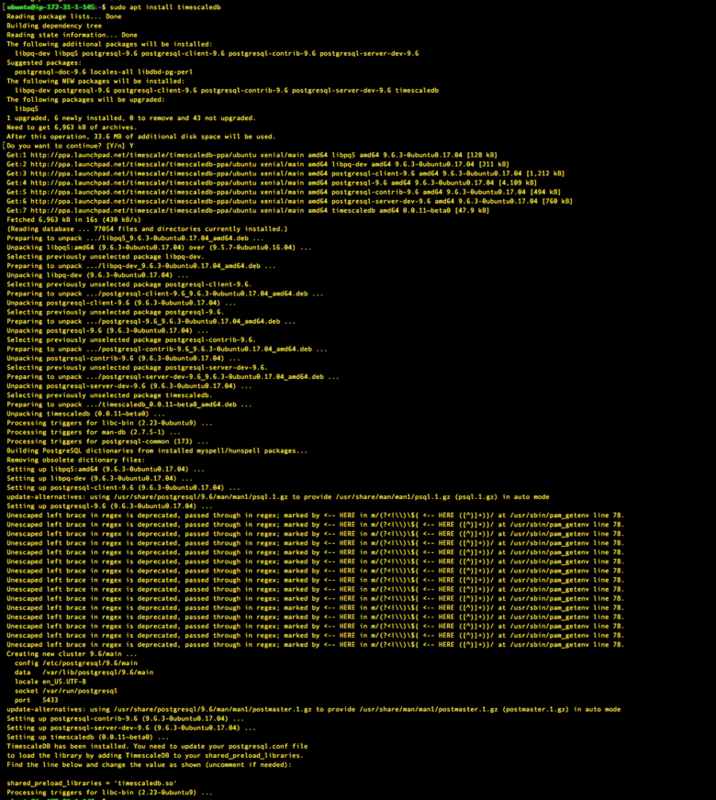 Note: The Postgres server needs to be running for the next step to work. Voila! 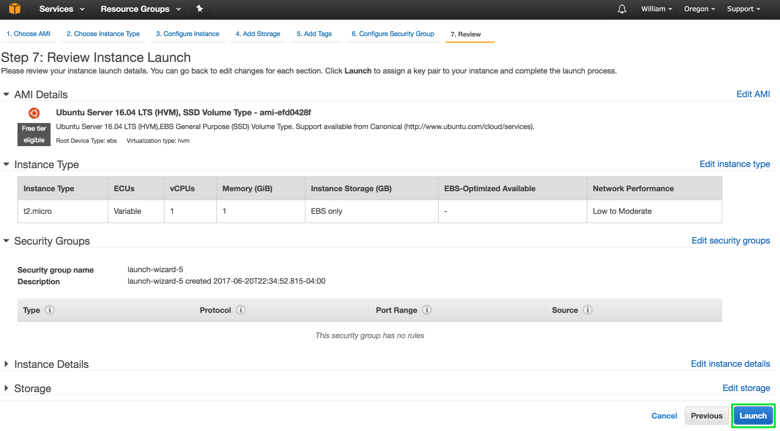 You have set up TimescaleDB on AWS.